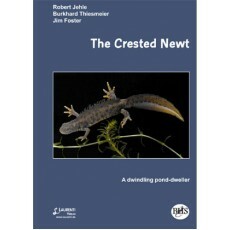 The beautifully presented book is a 'must' read for all those interested in the evolution, ecology, behaviour, conservation and management of crested newts. It contains 152 pages, 16 colour plates, and approximately 80 figures and tables. All proceeds from the sales of our products are used by the BHS for the conservation of Britain's reptiles and amphibians. Delivery is by Royal Mail and is free for all of our books.